Why is it necessary to do shadow work? According to C.G. Jung, the “shadow” are all the hidden or unconscious aspects of oneself, both positive and negative, that the ego has repressed or never acknowledged. In other words, the shadow is all we push out of our conscious awareness, all we disown in ourselves, all that is unwanted, ugly, unloved or simply uncomfortable or unbearable to look at so that we exclude it from what we show to the world. But what we exclude and disown becomes larger than life and scares us. The shadow is neither bad nor good. The shadow just is. The shadow is shadow to the extent that it remains unconscious within us and we do not recognize it as ours. In the end, it all depends on what we do with the qualities that we repress. For example, we can abuse our aggressiveness, or use it to set limits. What we need is to own our shadow, because if it is autonomous and we are not aware of it, the shadow will turn against us. That is why taking the shadow out of the unconscious brings greater freedom and flexibility, if we take responsibility for it. The toughest elements of our shadow often began in childhood as extremely creative responses to survive situations that were very difficult, traumatizing or unbearable for us. The key is to open our hearts to that which, back then, was too painful for us to bear. Most generally, the shadow appears in dreams but can also be expressed in multiple ways: omissions, through an impulsive or unexpected act, when you are tired, under pressure or when you suffer a disease. In these situations, the personality undergoes a sudden change of character and another personality appears, unknown both to our near ones and even to ourselves. These unacknowledged personal characteristics are perceived in others through the mechanism of projection, which consists in observing our own unconscious tendencies in others. Due to the difficulty of recognizing and accepting our own shadow, projection is one of the most useful mechanisms to become aware of our excluded aspects or defects. Does the shadow control your life? Would you like to have a more free and complete life? Do you know the basic tools for working with the shadow effectively? Irene Goikolea has been working for more than 25 years toward the awakening of consciousness, facilitating individual and group processes of personal growth and development. Her experience in this field goes back to the circles of women she organized at the beginning of the 90's with the intention of awakening to the sacred feminine aspect. The qualities of the sacred feminine aspect are interrelationship, the collective, integration, unity, care for the other, healing, nurturance, compassionate action and sentient capacity. Irene’s work focuses on cultivating these qualities, necessary for embracing and integrating our excluded parts, or “shadow”. The impact of this work on the development of a collective paradigm, aimed at awakening the culture of the “we”, over the culture of the “I”, led her to inspire the materialization of the Amalurra project, which manifested in three intentional communities, situated in the Basque Country, Andalusia and Catalonia (Spain). The Amalurra community project in the Basque Country is a benchmark among Europe’s most established communities for its 25 years of existence. Irene is a Doctor in Depth Psychology by the Pacifica Graduate Institute in Santa Barbara, California, an integral coach and guest faculty in Michael Harner’s Foundation for Shamanic Studies. She is also a member of the GEN Europe Council and GEN Ambassador. 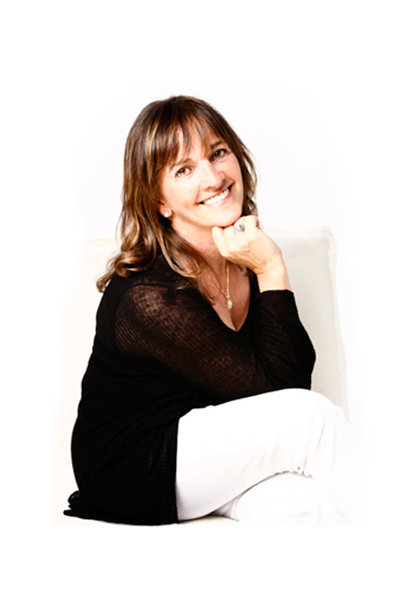 She is trained in family constellations and new family constellations with Bert Hellinger, systemic rituals with Daan van Kampenhout, Integral Coaching ™, Process Work, NLP, or yoga, among other disciplines. - Overreact in certain situations. - Face recurring challenges in relationships. - Feel frustrated in your attempts to reach your goals. - Act out the same drama over and over again. - Find yourself in frequent conflict with others. - Feel misunderstood and not seen. - Experience being highly critical or judgmental of yourself or others. - Avoid anger, sadness, or other “difficult” emotions. - Keep doing things you know are not good for you. Shadow work is the most important work we can do for ourselves, others and our planet. If our shadow remains unconscious, it will control our lives and its subtle influence will affect our relationships and put an end to our well-being and natural wholeness. Shadow work is the long-term reclamation of all we have excluded. To do so, we need to uncover it and bring it to awareness with patience and compassion, because we created our shadow for a reason. The shadow contains the seeds of a new consciousness, those parts of ourselves that we need to bring to light. Shadow work is focused on acknowledging what we have denied and restoring the full complement of our own powers. In the end, it is a question of completing ourselves, of integrating all our aspects because, as Jung said, what we deny, controls us, but what we accept, transforms us. Coming to terms with your darker half helps see yourself with more clarity. When you can embrace your own darker parts, it is easier to accept the shadow in others. Communicating with others also becomes an easier task. As a result, you may experience that your relationships improve in the different spheres of your daily life (family, friends, work, etc.). Shadow integration takes you closer to your authentic self, which provides a more realistic image of who you are. As a result, you will also see others and assess situations with greater clarity, compassion, and understanding. Repressing our darkest parts consumes a lot of energy, both mental and physical, which can lead to pain and disease. Shadow work releases a huge reservoir of energy that you were unconsciously investing in protecting yourself. This can improve your physical, mental, and emotional health. Integrating the shadow contributes to achieving a sense of wholeness. It’s a critical step to mature adulthood. On the other hand, the integration of the shadow brings an assumption of responsibility. The more we accept, the more responsibility we take. Accepting our shadow also allows us to touch the feeling that it protects, which helps us make peace with our internal conflict. There is lots of energy and vital force in our shadow, in turning away from pain. Embracing and integrating the shadow brings compassion to ourselves and others. When we embrace the shadow, we stop projecting and begin to co-create. This workshop will give you a solid and integrated approach towards achieving a deep healing, transformation and permanent change, as well as some practical tools for a healthy, rich, rewarding and more complete emotional life. The final goal is to make space or, in other words, to open our hearts to be able to include all those parts or situations that belong to each of us and our system. The goal is not to solve anything, but to allow some conscious movements or processes that make us more aware of the aspects that we have rejected and which, consciously or unconsciously, we are in conflict with. Working in this direction strengthens and makes us more resilient. At the same time, it takes us out of repetitive dynamics rooted in the past, which provides us with a new and unknown perspective about the future so that we can access the next evolutionary level. The importance of shadow work is evident in relational areas: groups, communities, organizations, etc. Becoming more aware of one’s shadow on a deeper level enhances the goals of any organization. It also brings creativity and new possibilities, since each individual possesses an unlimited potential that shadow work helps release. When we become aware of it, the shadow becomes an allied force in the pursuit of our most genuine aspirations. - What is the shadow? - When does it appear? - How can we identify it? - How can we relate to it in a healthy way? Bº La Reneja, 35. Artzentales, Basque Country (Spain). From the airport to Bilbao (approximate time 20 minutes). Take the A3247 bus at the airport and get off at the last stop (“Termibus”). Walk from the bus station up Guturbay Street to the “Basurto - Hospital” train station at Montevideo Avenue, just in front of the hospital. The bus runs every 15 minutes. You can also take a taxi from the airport to the “Basurto - Hospital” train station at Montevideo Avenue. From Bilbao to Artzentales (approximate time 1h 20 minutes). The train line between Bilbao and Santander runs 3 times a day in each direction and connects Bilbao with Artzentales in 50 minutes. From Artzentales to Amalurra Hotel, there is a 30 minutes walking distance. From Bilbao to Zalla (approximate time 40 minutes). Take the C1F Bilbao - Balmaseda/La Calzada train at “Basurto - Hospital” station. Get off at “Zalla” stop. You can check for the train times at Renfe's website.